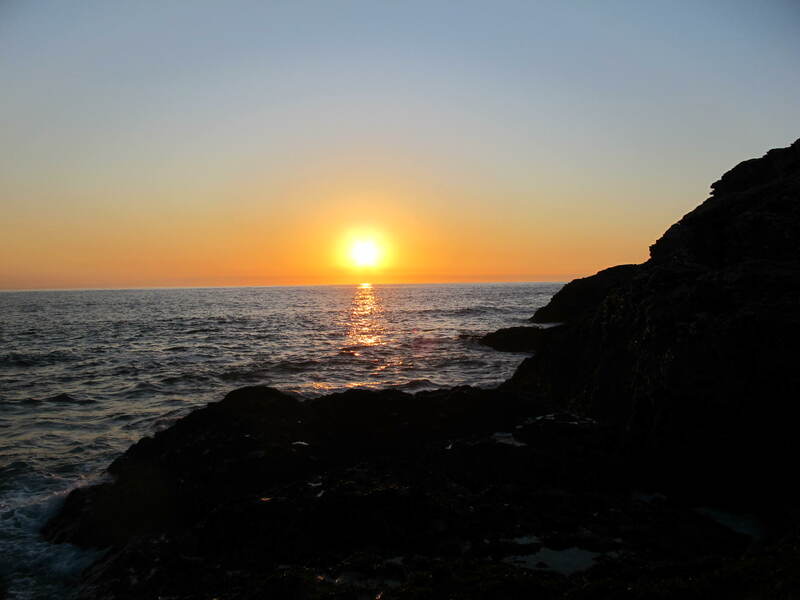 To breathe consciously as the Sun emerges over the horizon in the morning, or disappears below the horizon in the evening, opens the heart to the eternal presence of God within the rhythms and cycles of life. As you learn to breathe consciously, you become aware of your inner peace, a presence, out of which all movement occurs. 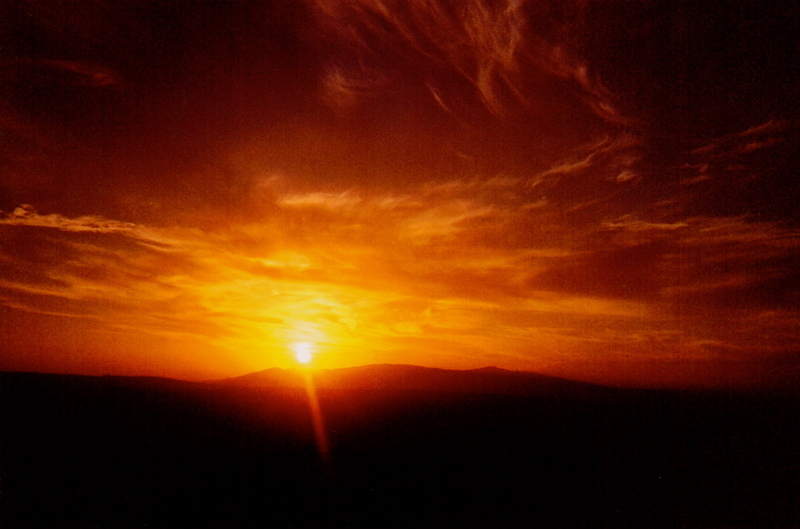 The Sun appears over the Jordanian hills. 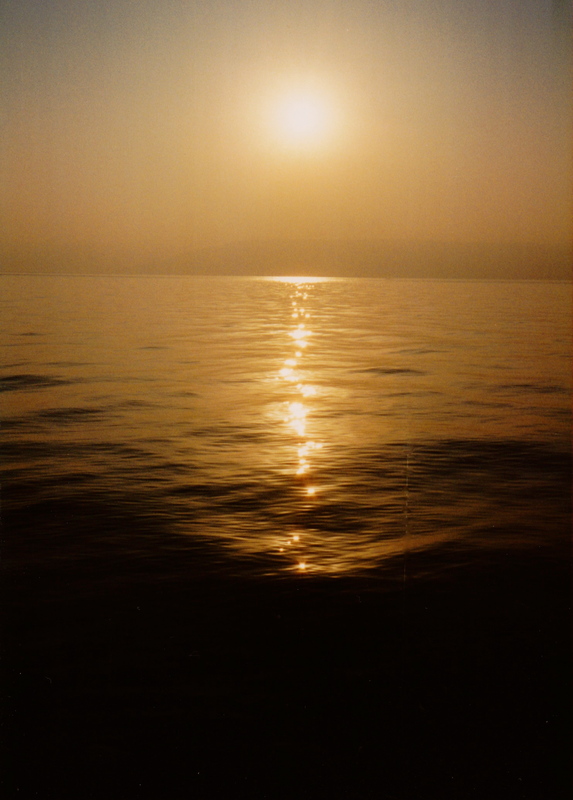 In the still, silence of the dawn, its reflected light shimmers on the Sea of Galilee, sending a pathway of dancing light into the heart. To possess peace (in Hebrew – Jerusalem) is to enter through the door spoken of in the Gospel of John. 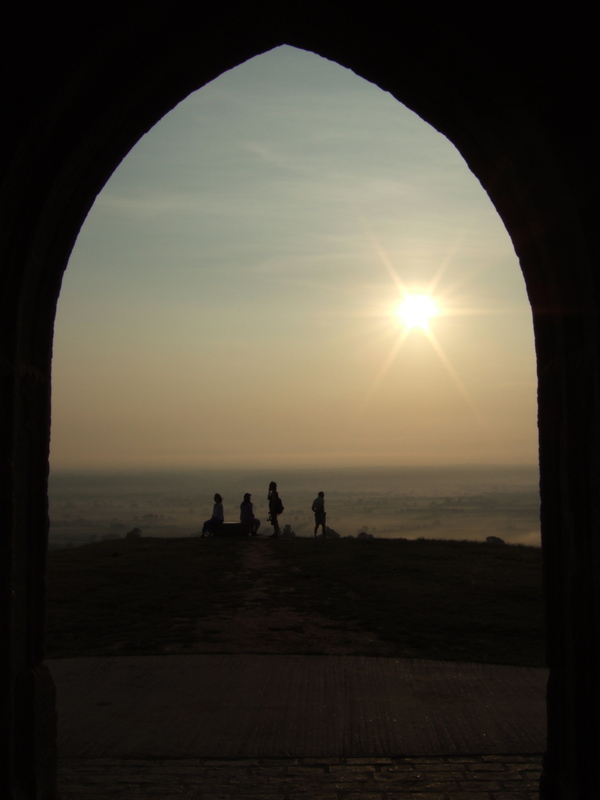 Dawn seen from within the steeple on Glastonbury Tor, Somerset, England. The Tor symbolises the sacred centre which exists as the heart of every human being. I Am — Being supports all movement that flows through all of the life within and about you in abundance and harmony. As you breathe consciously, you are clearing the way to realizing inner space. 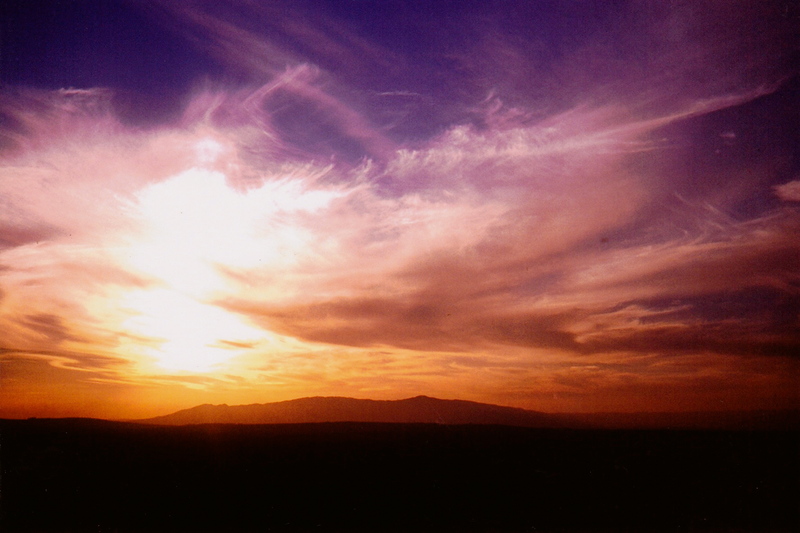 The beauty of a North African Sky as the evening draws in, a few days into the new year. The songs of thousands of gathering migrant birds echo back and forth across the valley adding their symphony to the colourful textures. This space is transpersonal, it is always present within you, and is only lost through the weight of thought forms that remove the peace of presence. In your innermost room, your sanctuary, cleared of all thoughts and emotional distractions, there is nothing to separate you from the eternal presence of life. Take a conscious breath: be aware of your Heart and Solar Plexus as a radiant point deep within you: “In the beginning the Logos was.” The beginning of creation is here, now, resonating within you, and within all of life.